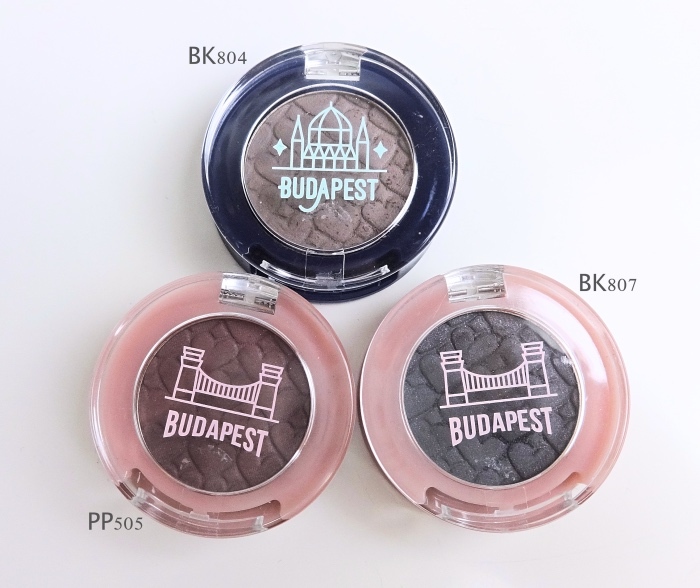 Depotting Etude House Look At My Eyes is a breeze - there is a tiny hole on the back of the container and you just need to push gently through it using a safety pin to lift the pan up. 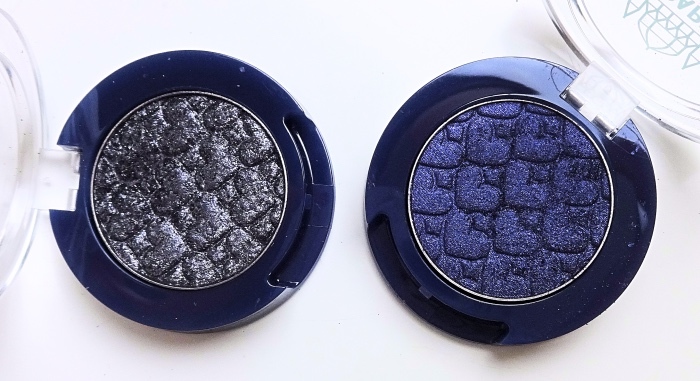 I was quite pleased with the result and even depotted the Urban Decay Diamond Dog (reviewed) as well. 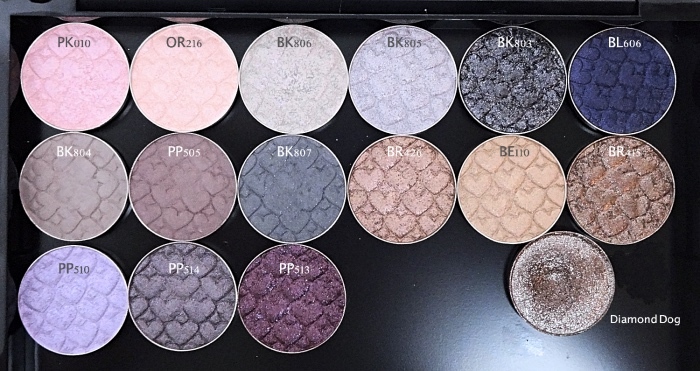 On to the swatches - I have a good mix of light shimmers, blue/grey, mattes, shimmery neutrals, and purples. The official color names are in alphanumerics but they do have fun Korean names, of course. I am including rough translations for those names as well. 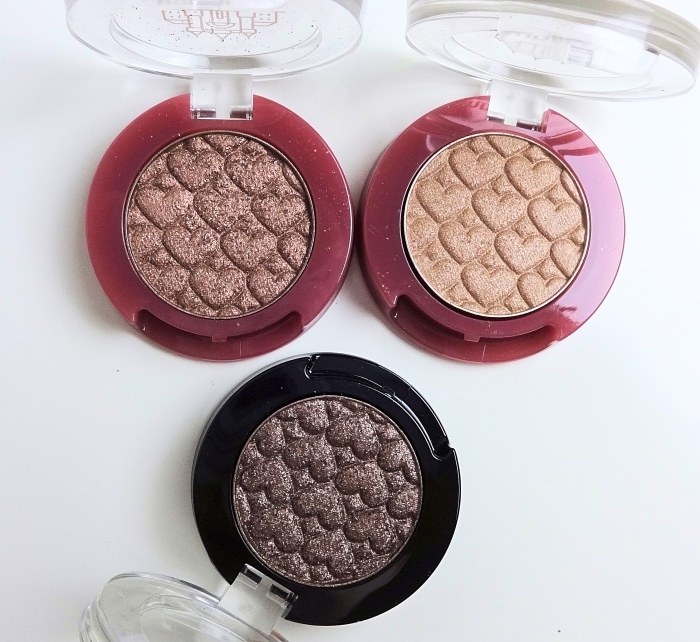 These are so so pretty and perfect for highlighting or blending out. Love how dusty they are! 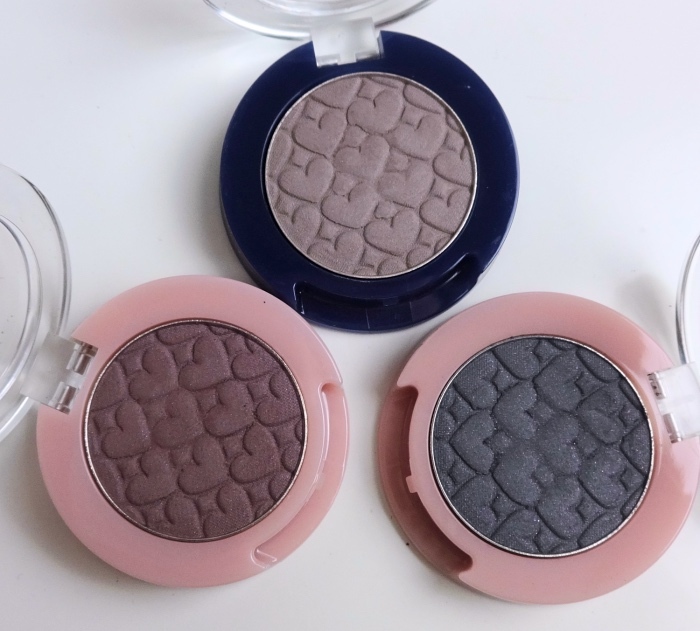 All shades are buttery soft and go on like a dream. BR426 빈티지 로모 필름 (Vintage Lomo film) <- this is my favorite! BE110 아날로그 핑크 (Analogue pink ) <-which is actually a beige color. This set is a bit off and doesn't do a justice to their beauties. 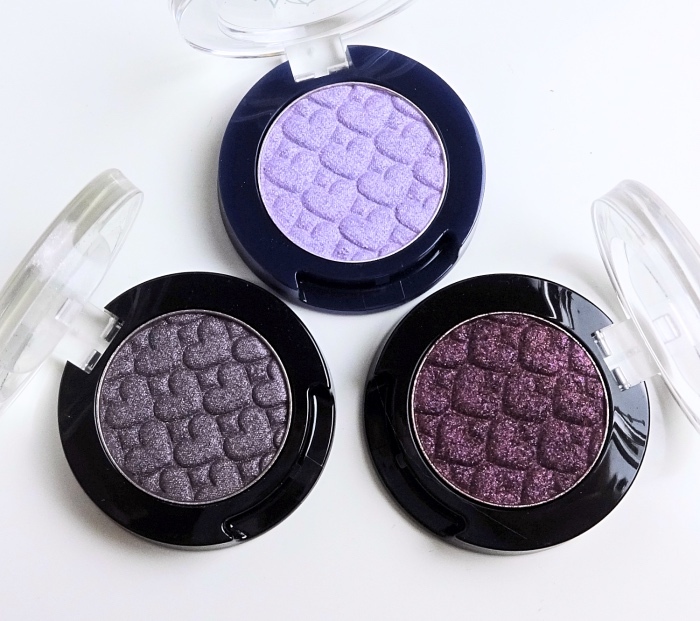 These three are my favorites - gorgeously complex and very wearable. Whew, thanks for scrolling! Hope this swatch set is helpful. I have reviewed 4 of them in my previous post, and my opinion hasn't changed since. I think the quality of them is one of the best within the similar range. Many eBay sellers are offering them at affordable prices ($4-6 each, plus free shipping). I'd say go try a few and see how you like them. I am not native Korean speaker (duh) but I think it's refering Strongest and Most Popular of Leo and Forgetful Pisces (because the short memory span thing?). 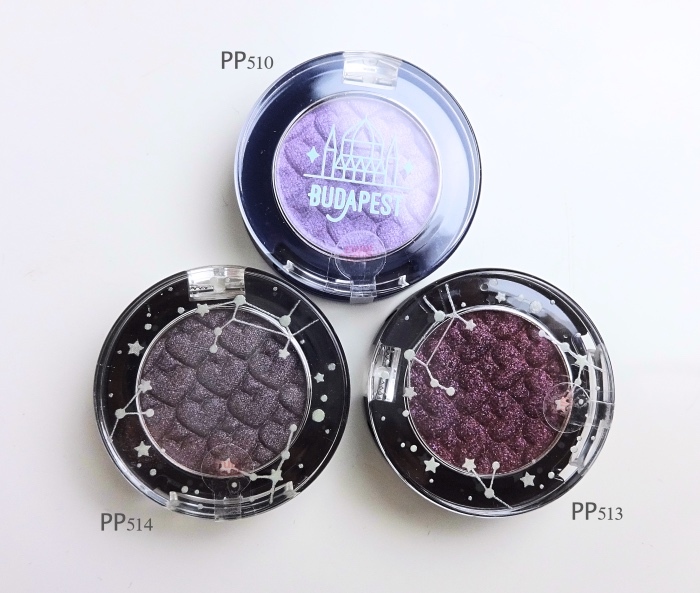 The two are from a zodiac collection afterall)? 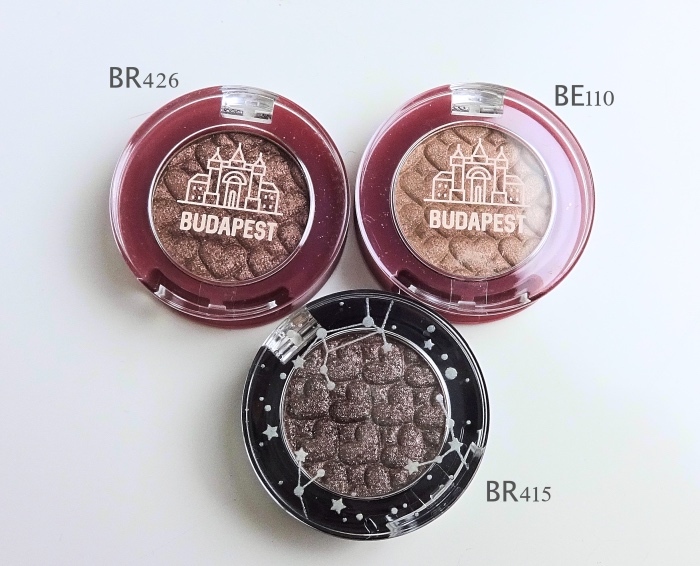 I might have to go to Koreatown again for that lomo film, I got a glimmering cool brown taupe (etude house eyeshadow) last time and it was so unique and easy to wear by itself. Vintage lomo film is worth owning and I think you'd enjoy a few from the light shimmery ones. Romance In Budapest is SO PRETTY! They are all very pretty for sure! I think a local supermarket here sells some Etude House. I shall look! It is very pretty and so easy to wear. 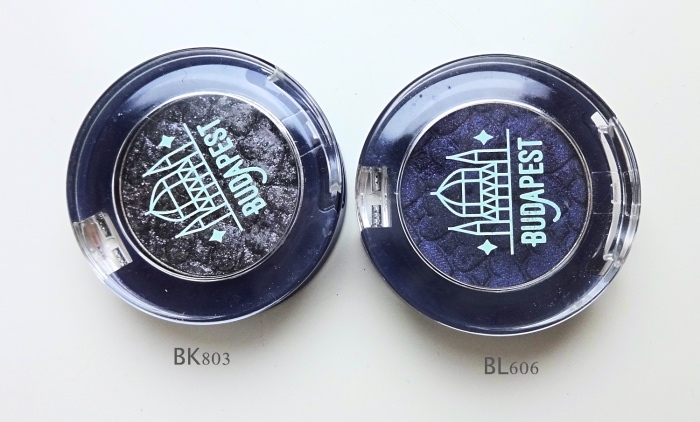 What surprises me is that they do not have that cheap eyeshadow characteristics (fading into mirky nothing, you know). Which is why I went through a trouble of making a custom palette. 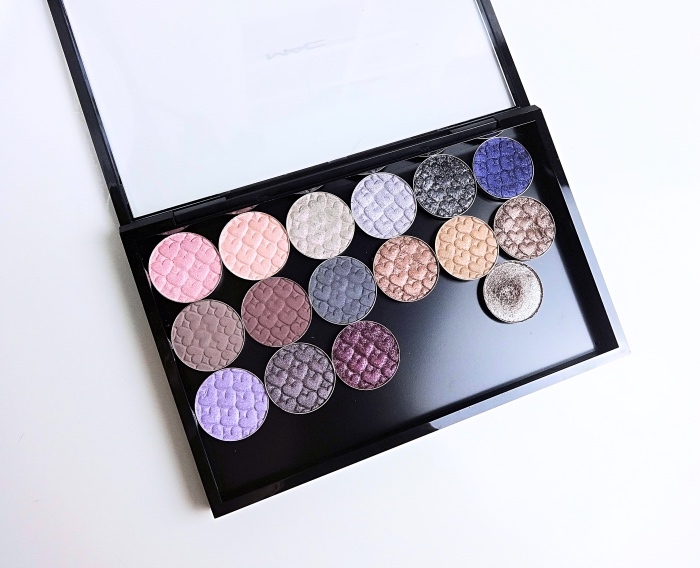 This is such a nice way to organize your single eyeshadows and keep a bunch of them all in one place. 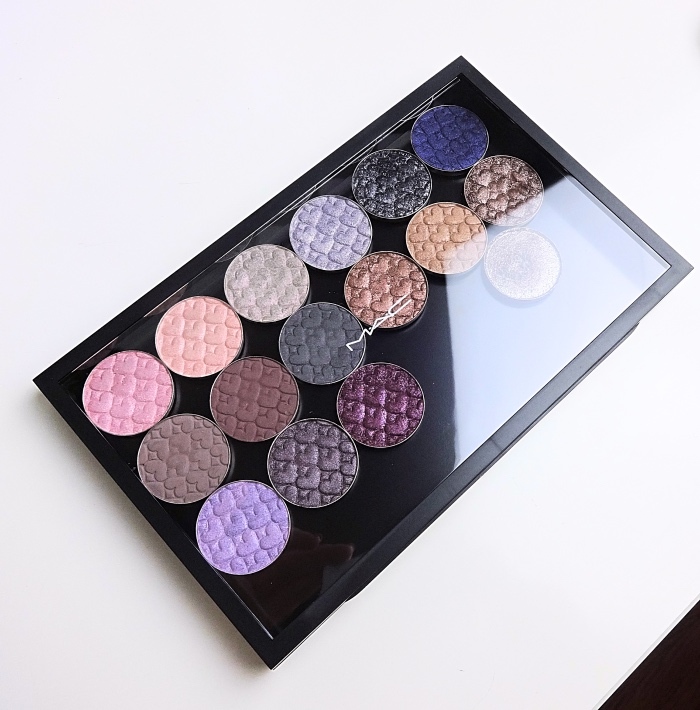 You created quite a pretty palette of colors for yourself there Lena :) $4 - $6 each with free shipping is a really good price too considering your experience with their quality. I went to Etude House the other day but why don't I see these? I'll have to take another look. I wonder if we get different things (??)... but planning to go to Korea later this year, so I'll be able to take a closer look then. Oh thanks for the heads up. Olive Young it is! 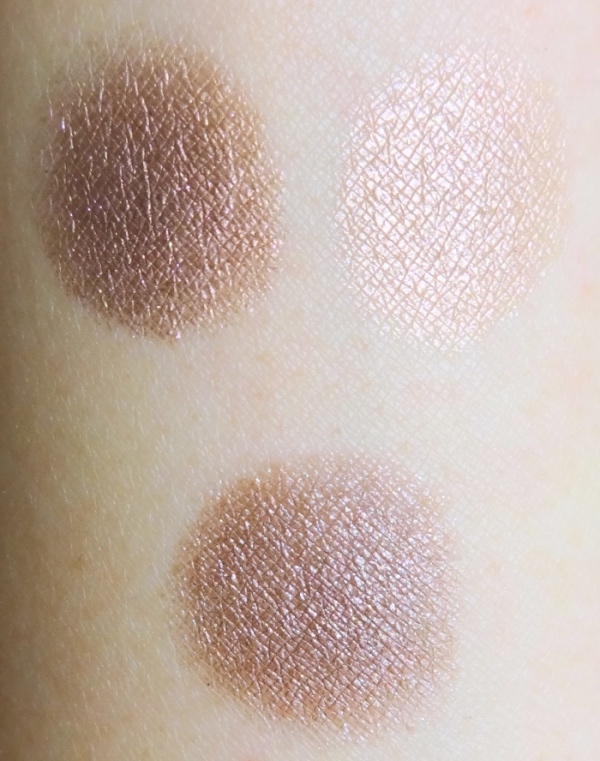 I've been looking at these swatches over and over again - cannot contain myself any longer. Your pictures are just TOO tempting, I feel absolutely compelled to order some of these. 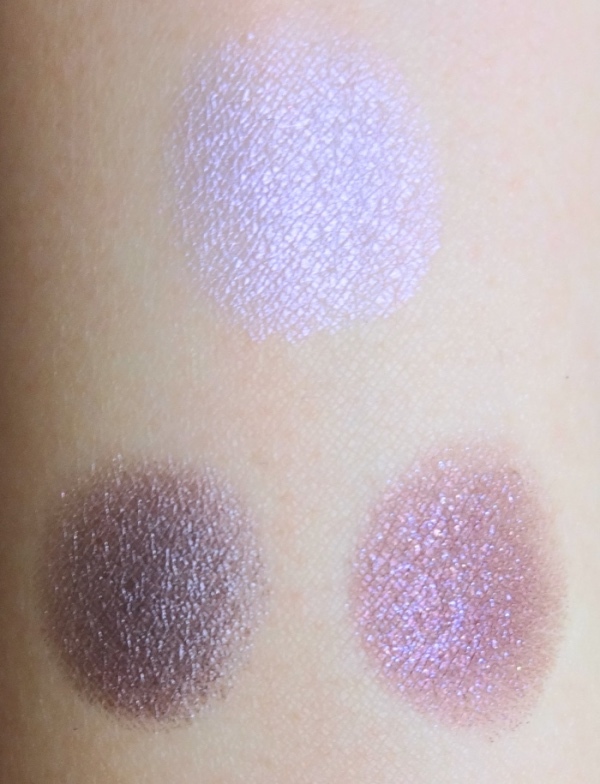 Amazing swatches! 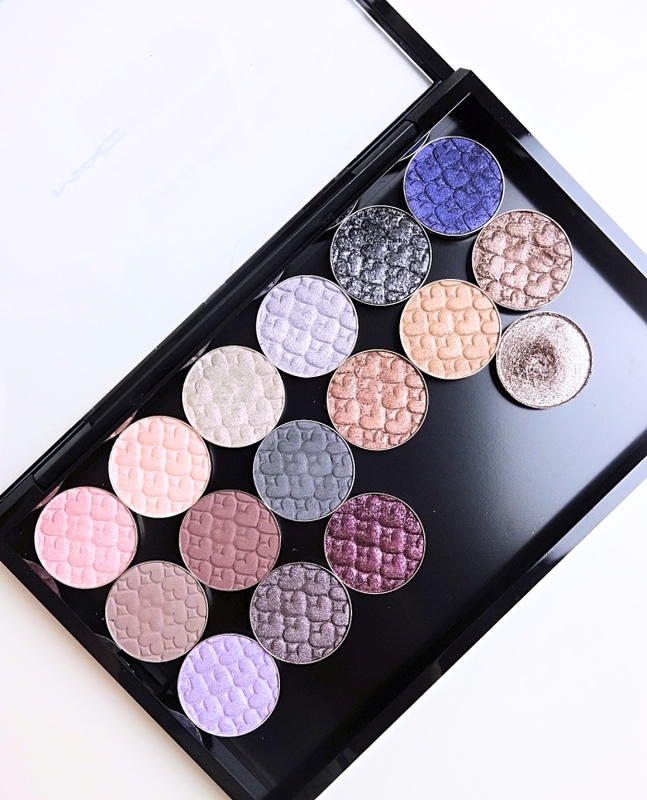 Did you have to attach magnets to the back of the eye shadows? No, there was enough adhesive left on each pan so I didn't have to. 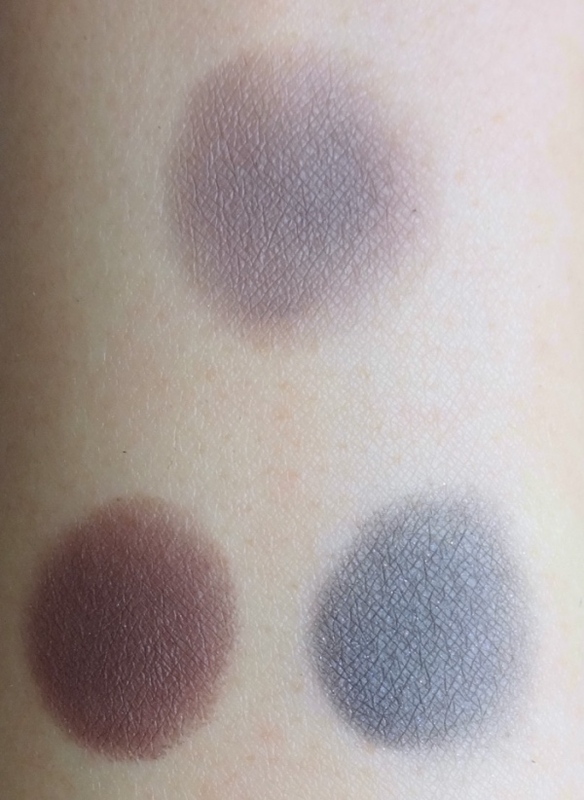 The MAC palette is only magnetized on the side (the sales rep told me).